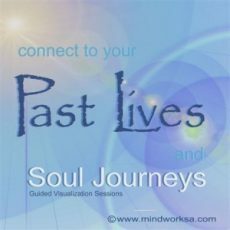 Engaging audio journeys which cultivate your sensual mindfulness to enhance life’s finer nuances! See below for more detail and audio samples. It is through our feelings that our lives are given meaning and we experience our purpose and that special, powerful human drive. Everything has the potential to become more vivid, more intense, so we can become passionate connoisseurs of our experiences. Now you can spoil yourself into a delightful extravagant adventure by expanding your experience into an exhilarating sensation – building it up to stimulate every part of your body and mind. Increasing and intensifying this, so that you can settle your whole being inside the experience of wonderful awareness. And wondering where in your body you sense the greatest resonance – discovering the core of your perception, the centre of your sensuality. It has been an amazing journey to produce these audio recordings. Enjoy! Sensuality is, in essence, to be acutely in tune with what our senses perceive. A sensuous life is enhanced by awareness. To be sensual is to live for and in the moment; to be aware of and appreciate physical sensations and feelings; recognizing beauty, magnificence and refinement and how they vibrate within us. When we allow ourselves to indulge in this way we add zest to our lives and have richer experiences. This devotion to that which is smelt, felt, touched, heard, tasted and seen, can transform our circumstances into luxurious aliveness. Sensual people take advantage of what life has to offer, exploring an experience in and by itself, rather than rushing through it to the next. How sensual we are playing a key role in both our intimacy and our overall ability to derive the most pleasure from life. 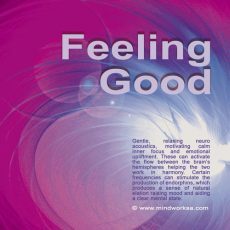 Guided visualisation through the world of your senses, stimulating brainwave states within the Alpha / Theta range to increase your overall receptiveness. Enter into your own reality weaving a rich tapestry of intense experiences. Through heightened awareness, that what we are focusing on becomes more radiant and vivid and can evolve into an exquisite luxurious feeling. The joy of spirit, pleasure, passion and delight can be found in many ways and it is yours. Special sound techniques and a wealth of specific frequencies make these neuro acoustics with gentle guidance, unique. Choose your ambience and let this excursion capture your full sensual attention. Find out how the heightened awareness of your senses resonates within you and explore how this will enrich your life and intimacy. You can indulge in this sensual journey whenever you wish to return from the rush of life to the deeper experiences within – an excellent recipe for a happy life. Turn on REPEAT for this track for continued enhancement! Gentle, relaxing neuro acoustics, motivating calm inner focus and emotional upliftment. These can activate the flow between the brain ’s hemispheres helping the two work in harmony. 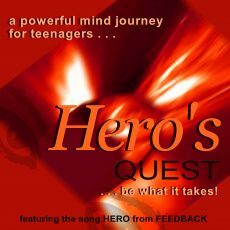 You want your teenager to be a hero in his/her own world? Growing up has its own demands and can be overwhelming. 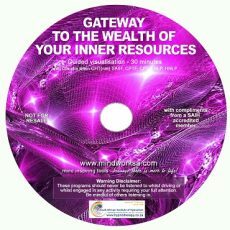 This fun and entertaining recording teaches to relax but also helps to facilitate finding inner strength and abilities to cope and make positive decisions while staying focused. We at Mindworksa.com believe that you can effect changes in your life provided you have a strong desire, harm nobody in the process and have the right knowledge and tools.